Lexin Resources leaves behind more than 1,500 wells to be sold or cleaned and a list of debt that adds up to millions of dollars. So who will be left with the bill? Who will have to pay to clean up after Lexin Resources? Maureen and Wendell Strong started hearing the rumours early in 2016: Alberta landowners with Lexin Resources natural gas wells on their property weren't getting paid. The Strongs, who had two Lexin wells on their land south of High River, and decades of experience dealing with the energy industry, waited anxiously to see if they'd receive their money. In Alberta, most landowners don't own the mineral rights below their land and are required to allow access to energy companies that want to drill wells. Landowners like the Strongs are paid an annual lease rate that typically totals a few thousand dollars. "We were on the alert, watching," Maureen said, "and when the time went past, that's when we got the name of the guy at Lexin and phoned him. Nice guy but he said, 'Just get lined up, we've had 700 calls on this.'" In March, Lexin Resources was forced into bankruptcy by the Alberta Energy Regulator (AER) — an order the company is fighting in court. Documents from the case show landowners like the Strongs have plenty of company on the list of creditors seeking payment from Lexin. They range from a small scaffolding company to Baker Hughes, one of the largest oil services companies in the world. The Alberta government is also looking for unpaid royalties, rural municipalities are claiming unpaid taxes, and there are former workers who are looking for vacation pay and severance and are concerned about their pension plan. 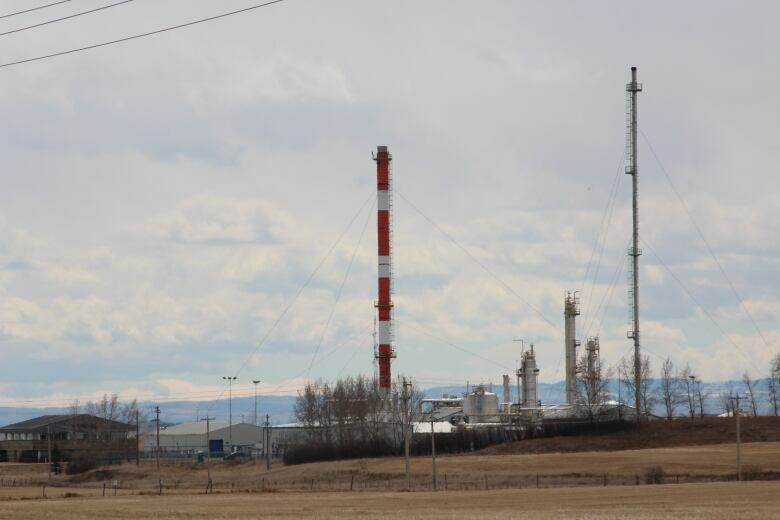 The province's taxpayers will be paying the surface lease cash owed to the Strongs and other landowners until Lexin's wells are either sold to other companies or plugged and cleared from their land. Taxpayers could also be on the hook for some of that costly cleanup, which includes a list of hundreds of wells, pipelines and related facilities the company no longer operates. 2016 was a dark time for the energy sector. Energy prices bottomed out in the winter, and there was no light at the end of the tunnel. Layoffs were mounting and bankruptcies were becoming more common. Money was tight across the industry. CBC News spoke with a former Lexin Resources executive who described how the company's financial problems quickly escalated. CBC has agreed not to use his real name because he says he's still owed money from his time at the company and is concerned about legal repercussions. He will be referred to here as Peter Jones. He says the company stopped paying its creditors in late 2015. At that point, Lexin was known under its previous name, MFC Energy, which would officially change to Lexin Resources in February 2016. In court documents, Lexin said that month was approximately when its cash-flow difficulties intensified to the point where it couldn't pay creditors. In its statement of defence against the receivership case launched by the AER, Lexin argued that a dispute with the AER escalated to the point where the regulator was garnishing funds that would have been paid to Lexin from some of its commercial partners. It said that because of the regulator's actions, its cash flow dried up and it couldn't pay creditors. "It was across the board, no royalties to owners, no rentals to mineral owners, no rentals to surface owners," said Jones, who noted the company continued to pay employees and bills related to health and safety. He says the situation became awkward at head office. The long list of creditors also includes Mary Esposito, an 86-year-old retiree who owns mineral rights south of Calgary. The rights are held in a family trust that Esposito manages. The payments from Lexin were erratic in 2015, she says, but she did receive them. But in 2016, she received a bill from the provincial government saying Lexin hadn't paid the mineral tax and that Esposito was responsible. If she didn't pay, she'd lose her mineral rights. Esposito wasn't as lucky as the Strongs, who are backstopped by the provincial government. After receiving her tax bill, Esposito wrote a letter to the provincial government. She was informed that in the case of private mineral rights, it was a business relationship between her and Lexin, and if the company didn't pay its share of mineral taxes, she was responsible. "There was no money left in the kitty because I had distributed the money, except for maybe $10, so I had to pay this out of my own funds, which I did," Esposito said. Workers like recently retired Larry Nagle are also on the list. He spent his career working at the now-closed Mazeppa Gas Plant, which was part of the Lexin group of companies. He says many former workers are looking for severance pay. "A company like that should not be allowed to get away with treating people like they did," he said. "They broke union contracts, they let people go with no notice and they still owe those people money." In the receiver's report, the accounting firm Grant Thornton listed former employees as creditors, saying some are claiming unpaid wages, holiday time and severance. It has also heard from Alberta Treasury Branches about a pension shortfall, which might affect retired employees such as Nagle. The biggest cost will be the cleanup of Lexin's on-the-ground operations. It operated 1,380 wells, 81 facilities, such as the Mazeppa plant, 201 pipelines and was responsible for a further 145 abandoned well sites. When the AER pulled the plug on the company in February 2017, it said Lexin owed it more than $70 million in deposits to cover the reclamation of its wells and other sites. If the receivership order stands, the regulator will sell what it can to raise money for the cleanup of the infrastructure it fails to sell. Right now, the wells are the responsibility of the Orphan Well Association, which is already overwhelmed because of the oil price downturn. It has a list of more than 1,400 wells to clean up, excluding the Lexin properties. The Mazeppa Gas Plant is under the control of the AER, and it's not clear whether the plant can be sold off and restarted. The pipelines that fed the plant were purged and shut down by the AER in the spring of 2016, pending repairs. Nagle, who worked at Mazeppa for decades, questions whether the plant can start up again. "The gas plant is not safe," he said. "You could not just walk in there now and start it. There's lots to be done."